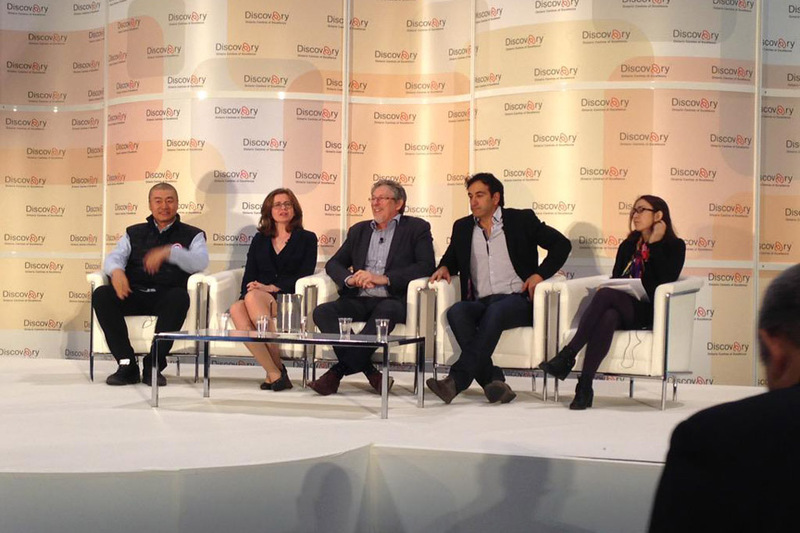 TORONTO, Oct. 2, 2015 – Ten dynamic Ontario startups have been selected as the first participants in a first-to-market incubator for investment-ready companies seeking an international presence in China. The companies will become part of the China Angels Mentorship Program (CAMP), which matches Ontario companies with investors, potential partners and mentors in and from China, as well as a small group of Canadian mentors who will work with them in Toronto and Beijing. 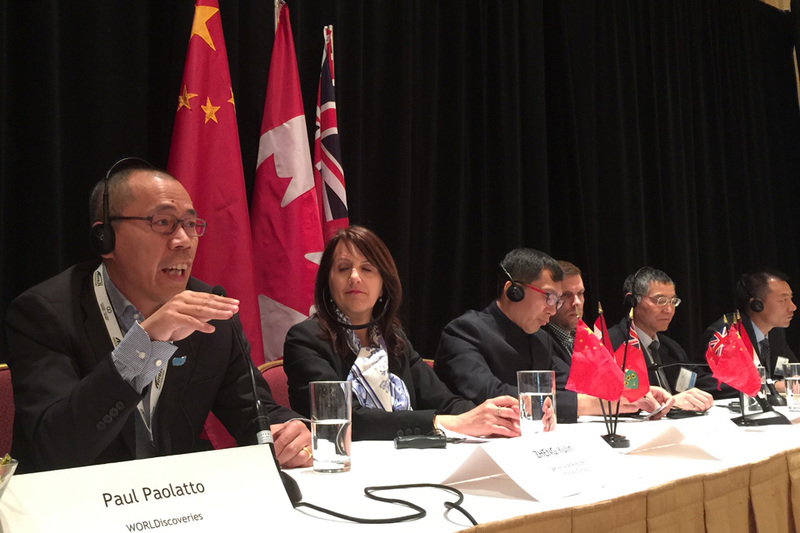 The initiative is the result of a partnership between Ontario Centres of Excellence (OCE) and the China Canada Angels Alliance (CCAA), who are working together to educate and prepare the companies and help shape their business models to fit the Chinese market. The 10 companies selected for CAMP are: ApplyBoard, Beagle, Clausehound, Colibri Technologies, Eve Medical, KA Imaging, Reforges, Raise Your Flag, Story Values and Travelabulous. 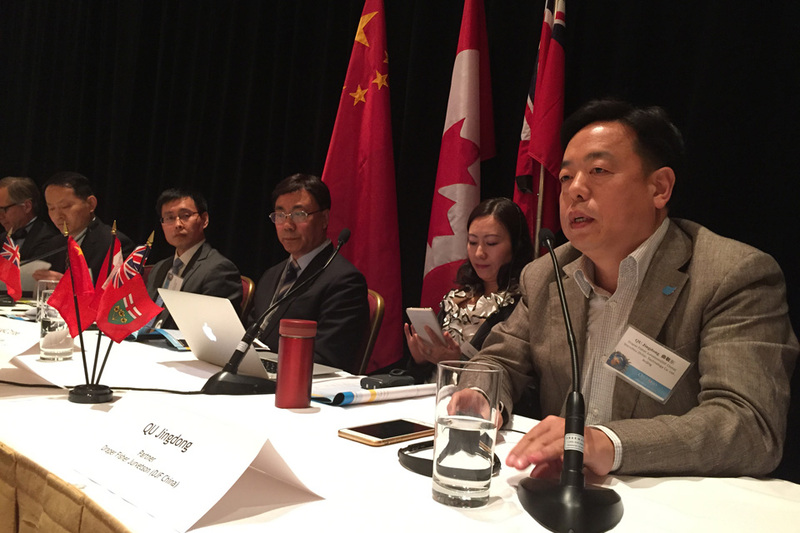 The companies will spend the next year building relationships in Ontario and China as they learn how to adapt to the business realities of the Chinese market. As part of this unique mentorship experience, the companies will travel to China for two weeks in November to work with their Chinese investors and Chinese and Canadian mentors, giving them an unparalleled opportunity to immerse themselves in the Chinese market and business culture. The startups’ participation in CAMP is subject to CCAA completing satisfactory due diligence and negotiating final documentation. “I want to congratulate these 10 amazing Ontario companies on their admission into this great new initiative. 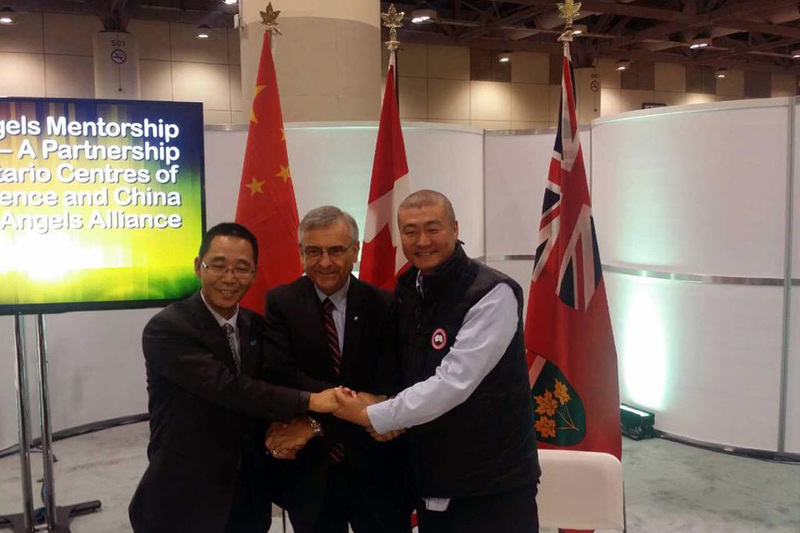 By making valuable connections with investors and mentors, they will be exposed to additional opportunities to grow their companies in the lucrative Chinese market while creating good jobs in Ontario,” said Reza Moridi, Minister of Research and Innovation and Minister of Training, Colleges and Universities. 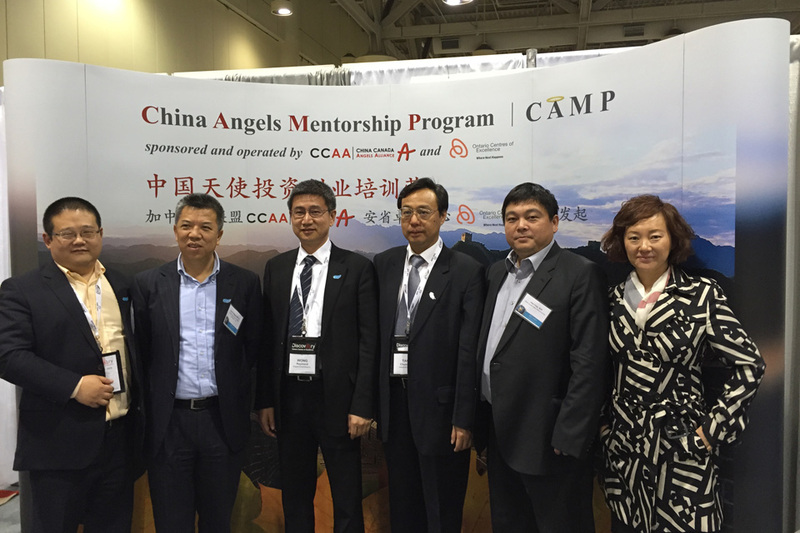 China Canada Angels Alliance Ltd., CCAA, registered in Toronto 2014, is a Canadian not-for-profit angel group being certificated as corporate members of Network of Angel Organizations-Ontario (NAO-O) and National Angel Capital Organization (NACO). 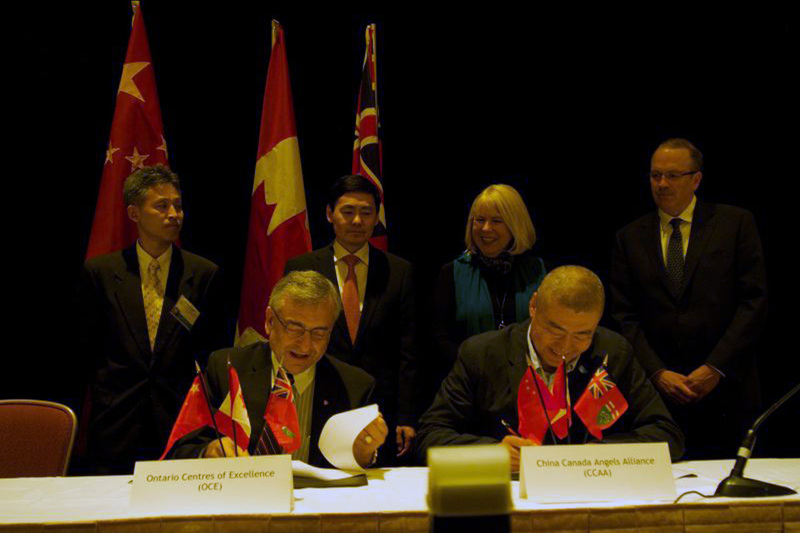 CCAA is devoted to building cross-border eco-system for early-stage innovative companies between China and Canada through co-investments, value-added mentorship and connections to overseas channels and resources. 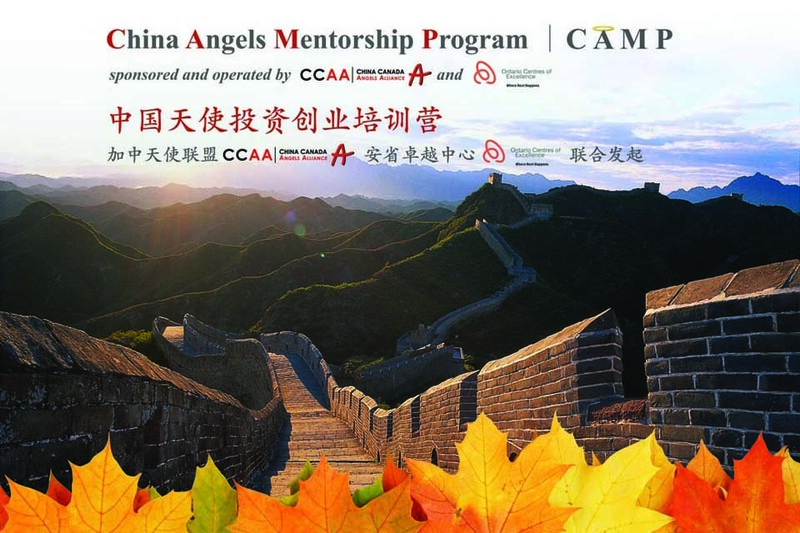 As of April 2015, CCAA represents 28 prominent and resourceful angels investors mostly from China and 11 private institutions/funds from China which connecting to 150 mentors from top 40 mobile/internet Chinese companies as well as other sectors in ICT, UAV, AI, Life Science, Cleantech, etc. 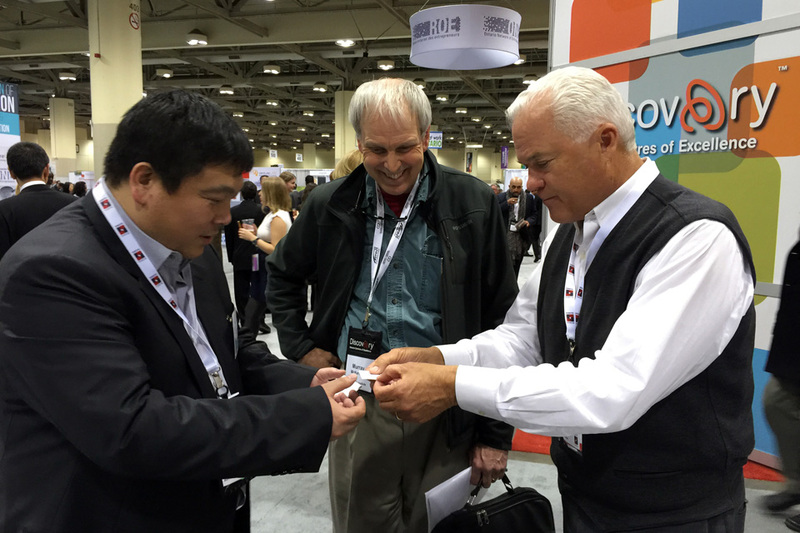 CCAA investment size ranges from $50,000 to $8 million per deal. CCAA investors have a successful track record in China with nine investee companies at more than 100 times the returns over the past seven years. 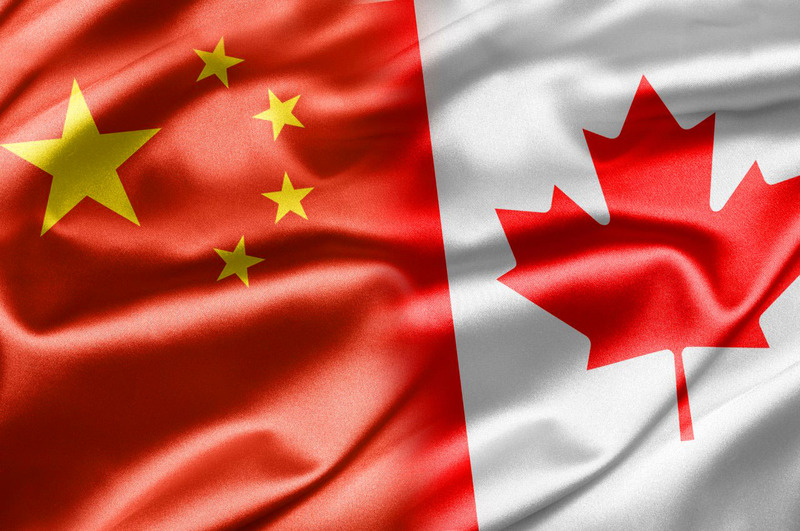 CCAA is dually operated in Canada (Toronto) and China (Beijing) to accelerate the communication and decision making and will syndicate with Silicon Valley partners when needed. Learn more at www.cc-angels.com.